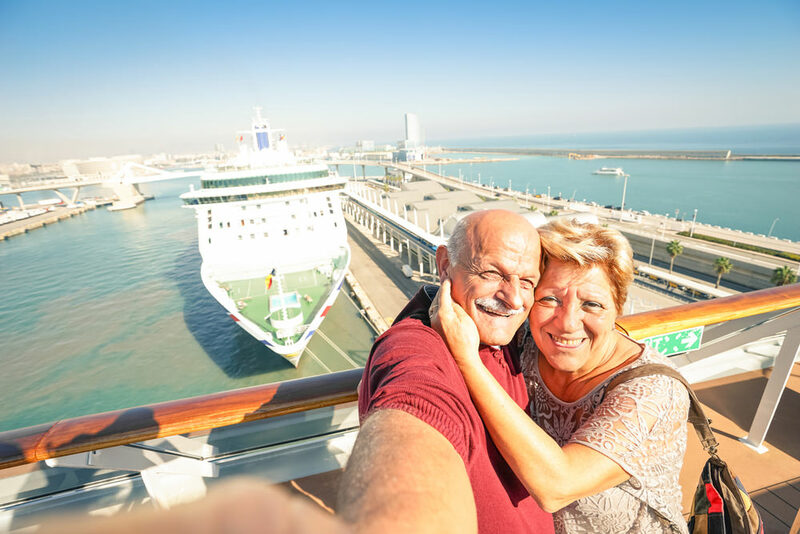 While a cruise is one of the more pleasurable ways to travel enjoyed by many (some 26 million people worldwide enjoyed a cruise just last year*), there is one very important care you do need to carry with you on board – particularly if you’re a senior traveller – and that is your health. Because while there are bountiful pleasures to be found on a cruise, there’s also many people too, from the young to the old and everywhere in between. As you’d expect, so many people together in a confined space increases the risk of contracting and spreading illness, which can affect senior passengers the most. But with some 26 million cruisers a year, there’s obviously a lot to love about cruising – and there’s no need to be deterred from a cruise holiday because of this risk. Our top tips for staying healthy on a cruise can help you make the most of your holiday and see you return with incredible memories and possibly a bit of a suntan, rather than a pesky illness or even medical bill. Seeing a trusted family GP before you take off on holiday is a good idea no matter where or how you’re travelling, though it’s particularly worthwhile before a cruise and even more so if you’re a senior traveller. As your doctor knows your complete medical history, they’ll be able to advise on what you personally can do to reduce your risk of illness while on board, like whether you should take probiotics to boost your immunity or stock up on seasickness, pills just in case. Medical facilities vary on cruise lines and while most have onboard doctors and pharmacists, it’s better to be prepared with everything you may need before you go. Ensure you take particular care to practice good hygiene while on board, just as you would in any public space. Be especially mindful when you’re using public bathrooms and dining areas (and try to use your own private bathroom wherever possible). This also means frequently washing your hands thoroughly with soap and water and taking care to dry them properly, making use of hand sanitiser that you’ll see around the ship (and better yet to bring your own pocket-sized gel), and refraining from touching your face, in particular your eyes and mouth. A near endless supply there may be, but overindulging does not a healthy cruiser make! We’re talking delicacies from the buffet, cocktails from the bar, shore excursions at port and the like. There’s often what seems like no end to such luxuries on a cruise (it’s the nature of the holiday, after all) and you should by all means enjoy this – but not without being mindful of your body and listening to it when it’s telling you to slow down. Choose your shore excursions carefully so as to avoid exhausting yourself with sightseeing; most cruise lines will categorise excursions based on activity level so you can make an informed decision as to what will suit you. Remember also to keep hydrated; this can be a simple need easily forgotten among all the activities (and cocktails) offered on board, but it’s another very simple but very effective means of keeping healthy. While you can do all you can to avoid becoming ill, if the unfortunate should occur and you do start to feel unwell, it’s important that you notify your ship’s medical centre immediately. This way, you can get the treatment you need right away and prevent the risk of spreading your illness to others on board. Watch out for gastrointestinal symptoms like vomiting or diarrhea, as well as respiratory symptoms like sore throat, runny nose, chills, fever and cough. While you can’t ever be 100% sure you’ll avoid illness, there is a surefire way to avoid returning from a cruise holiday with a costly medical bill. Your Australian private health insurance won’t cover the cost of medical treatment on board cruise ships so remember to take out travel insurance. Medical treatment on board can be pricey and you won’t be able to look to Medicare for coverage. Fortunately, cover for travelling on cruises is automatically included in insure4less policies. This means you can enjoy peace of mind on your cruise holiday knowing that you’re covered should the unfortunate occur and you do feel unwell. Read more here. Only when you are fully prepared for your cruise holiday can you fully relax and enjoy the pleasure that it is. By following these tips and taking necessary precautions, you’re well on your way to making your holiday a memorable one – for all the right reasons. *From Carnival Cruises Australia factsheet.